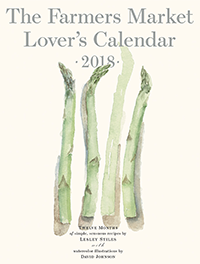 Dear loyal supporters of the Farmers Market Lovers Calendar, Thanks for asking about the 2019 Farmers Market Lover's Calendar. 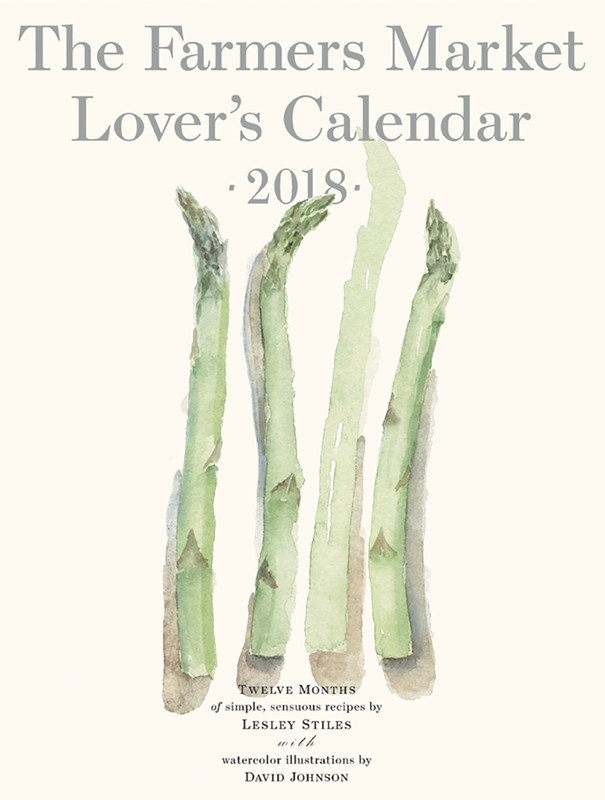 We have a calendar for this year and plan to be able to ship by mid January 2019. 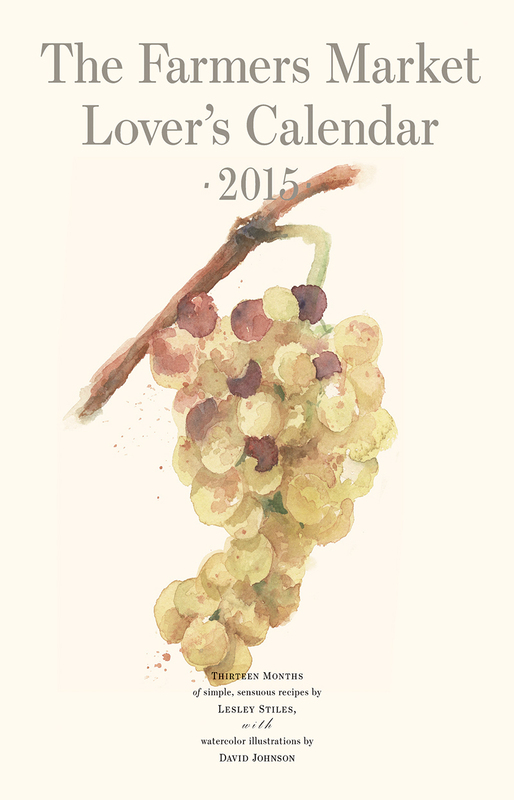 Thanks for your patience!! 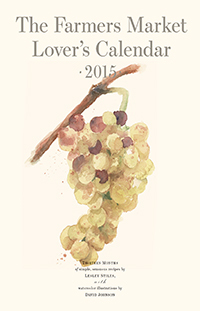 See below for Legacy Collection! 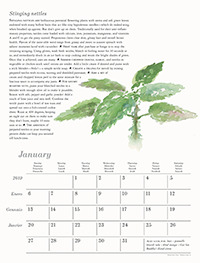 See bottom for Legacy Collection! You may also email Lesley Stiles at lesleystiles@comcast.net with any questions. 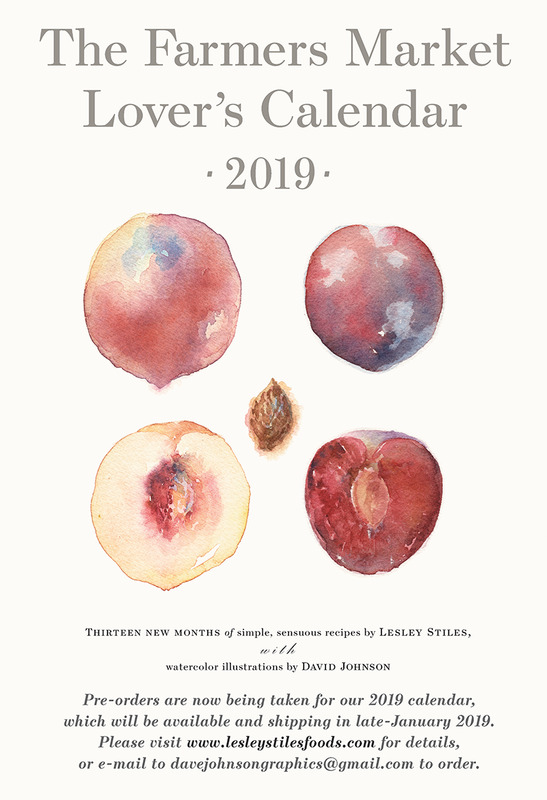 This beautiful collectable ninth edition, full-color 2018 Farmers Market Lover's Calendar is full of Lesley's recipes and knowledge of fruits and vegetables, along with David Johnson's beautiful watercolor illustrations complimenting each page. This beautiful collectable eighth edition, full-color 2017 Farmers Market Lover's Calendar is full of Lesley's recipes and knowledge of fruits and vegetables, along with David Johnson's beautiful watercolor illustrations complimenting each page. 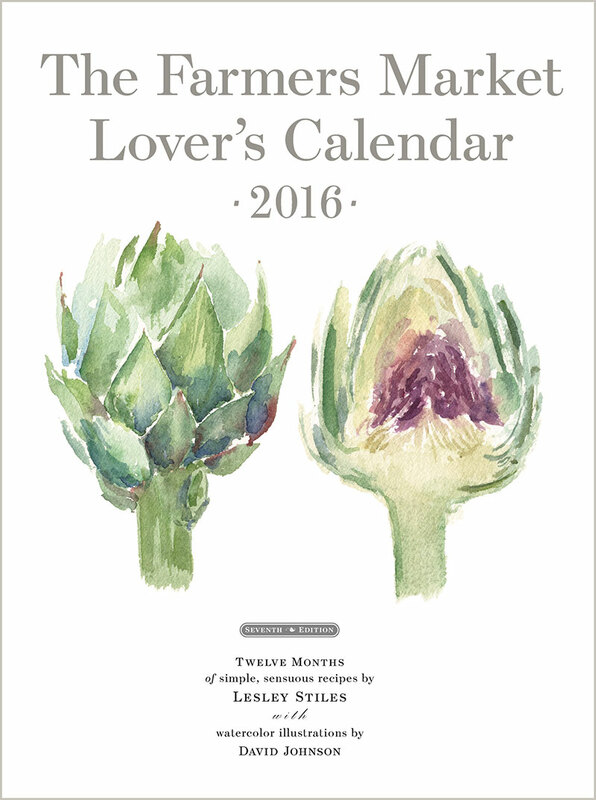 This beautiful collectable seventh edition, full-color 2016 Farmers Market Lover's Calendar is full of Lesley's recipes and knowledge of fruits and vegetables, along with David Johnson's beautiful watercolor illustrations complimenting each page. 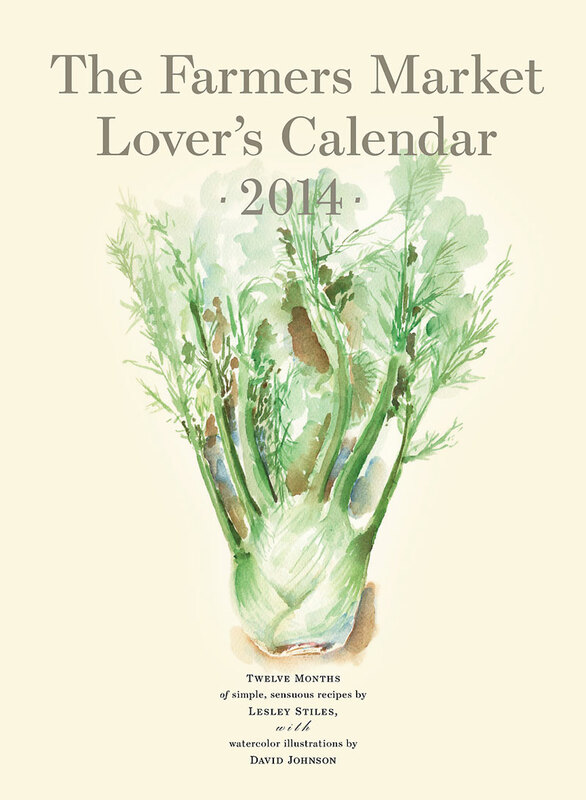 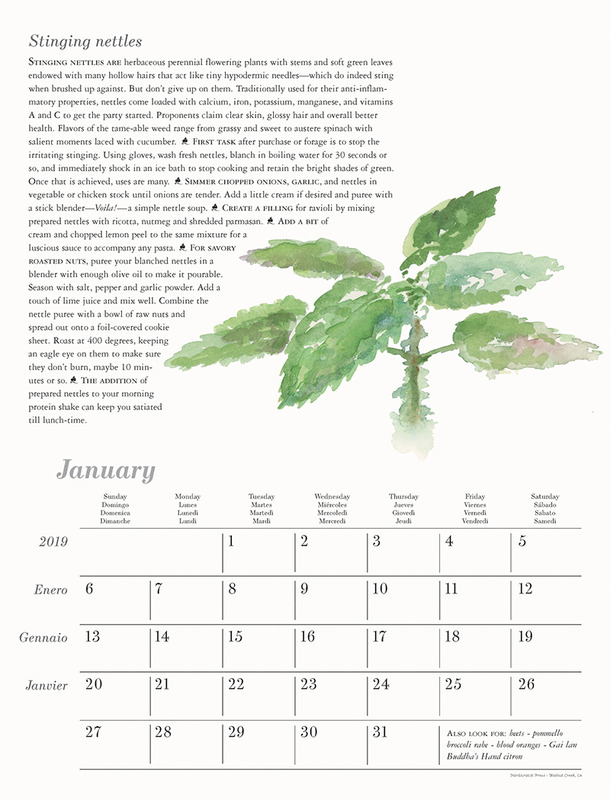 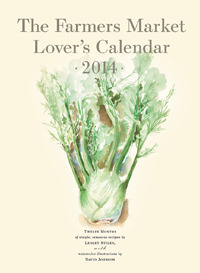 This beautiful collectable sixth edition, full-color 2015 Farmers Market Lover's Calendar is full of Lesley's recipes and knowledge of fruits and vegetables, along with David Johnson's beautiful watercolor illustrations complimenting each page. 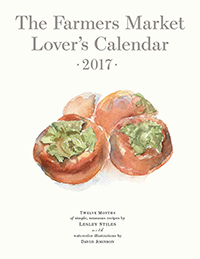 This beautiful collectable fifth edition, full-color 2014 Farmers Market Lover's Calendar is full of Lesley's recipes and knowledge of fruits and vegetables, along with David Johnson's beautiful watercolor illustrations complimenting each page.